As long as we exploit animals and kill them for food, we will exploit and kill each other. … I no longer accept that cows must be repeatedly impregnated to give us milk, must be separated immediately from their newborns and ultimately must be slaughtered long before the end of their natural lives to produce low-grade hamburger, leather, glue, gelatin and pet food. I can no longer accept calves being raised in horrific conditions before they are killed for the veal industry, developed to profit from the many “useless” males born because dairy farms regularly impregnate cows to ensure continuous milk production. Farmers often display genuine affection for the animals they abuse and send to slaughter. They do this by normalizing the abuse, believing that it is a practical and unquestioned necessity, and by refusing to emotionally confront the suffering and fate of the animals. 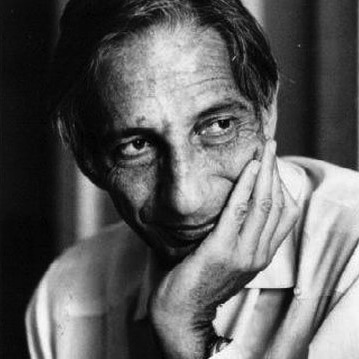 This willful numbness, this loss of empathy and compassion for other living beings, was something I encountered frequently in the wars I covered as a reporter. Prisoners could be treated affectionately, much like pets – the vast disparity of power meant there was never a real relationship – and then killed without remorse. The trade lobby American Wind Energy Association has asserted that “wind energy saves 2.5 billion gallons of water annually in drought-parched California”, which is “around 65 gallons per person in the state (200 gallons per household)”. With the state now requiring households to reduce their water use by 25%, “wind energy’s water savings are therefore equivalent to what would be saved by nearly one week’s worth of the required reductions for a typical household”. Nearly 1 week! That’s nearly 2%! Of household use — which represents only 4% of the total water use in California! In short, wind energy theoretically (the displacement of water use by thermal plants is far from the simple one-for-one picture that AWEA implies) “saves” less than eight 100ths of one percent of California’s water. The relatively small, albeit mostly unnecessary (almost all of it representing lawn watering), residential use not only illustrates the absurdity of AWEA’s boast, it also underscores the futility of the state’s emergency measures. 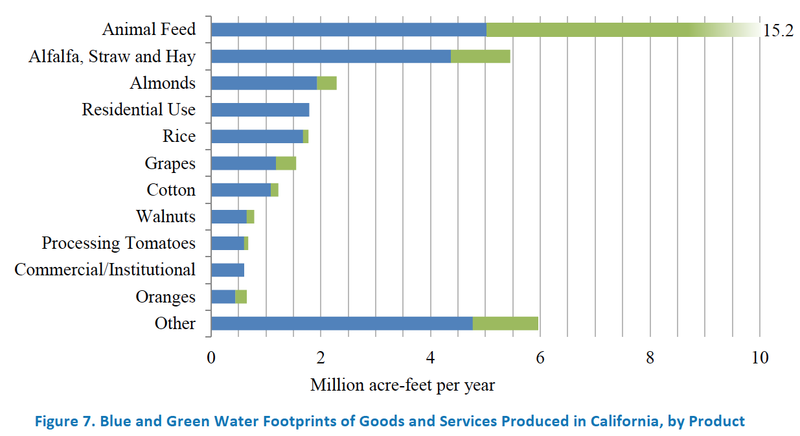 Here is the breakdown by sector of California’s water use in 2012, according to the Pacific Institute. 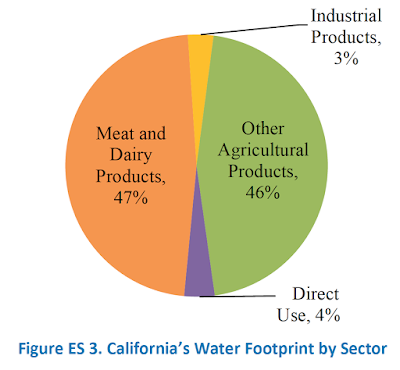 As one can see, besides the small amount used for lawn watering, there is another completely unnecessary use, but this one accounts for almost half of the total: meat and dairy: 47% of California’s water use. What about almonds, it’s been hysterically asked? Yes, among the plant crops, water use for almonds is highest, just above rice. And just above residential use in 2012. From 2012 to 2014, almond growing expanded by less than 5%. In other words, almonds are hardly the cause of the drought. It should also be noted that all nut crops (e.g., walnuts and pistachios, as well as almonds) use a lot of water. It’s because California grows more than 80% of the world’s almonds that the latter represents such a large proportion.